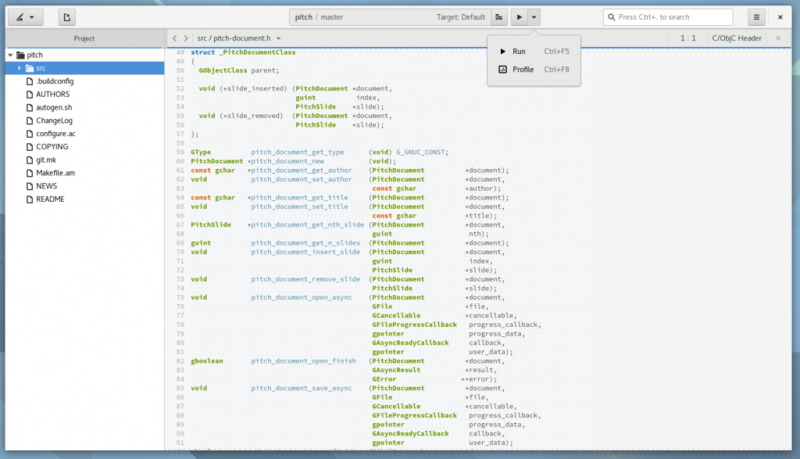 Martin Blanchard put together a new “quick highlight” plugin for Builder this last week. It was a great example of how to submit a new feature, so I just wanted to highlight it here. 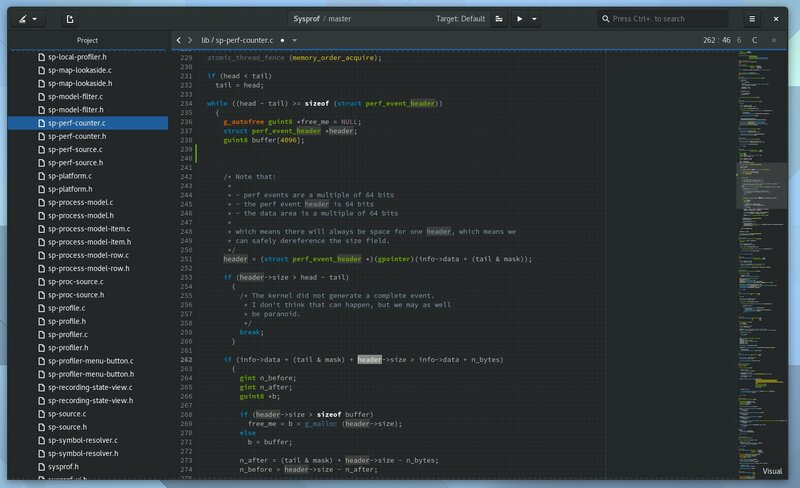 Post to bugzilla, attach a patch, and we will review quickly and help with any additional integration that might be necessary. After the GNOME 3.20 cycle completed I started revamping Sysprof. More here, here, and here. The development went so smoothly that I did a 3.20 release a couple of weeks later. A primary motivation of that work was rebuilding Sysprof into a set of libraries for building new tools. 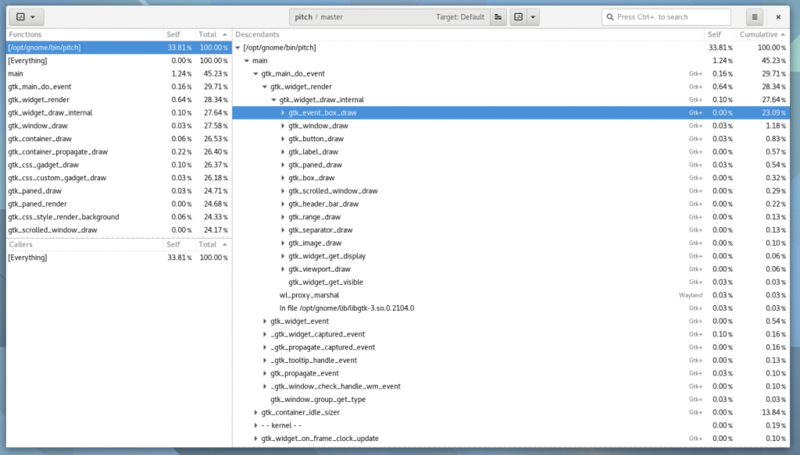 In particular, I wanted to integrate Sysprof with Builder as our profiler of choice. On my flight back from GUADEC I laid the groundwork to integrate these two projects. As of Builder 3.21.90 (released yesterday) you can now profile your project quite easily. There are more corner cases we need to handle but I consider those incremental bugs now. Some of our upcoming work will be to integrate the Sysprof data collectors with Python and Gjs. The Gjs implementation is written, it just needs polish and integration with upstream. I think it will be fantastic once we have a compelling profiling story weather you are writing C, C++, Vala, Python, or Gjs. We’ve also expanded the architectures supported by Sysprof. So I expect by time 3.22 is released, Sysprof will support POWER8, ARM, ARM64, mips, and various others as long as you have an up to date Linux kernel. That is an important part of our future plans to support remote profiling (possibly over USB or TCP). If you’re interested in working on this, contact me! The plumbing is there, we just need someone with time and ambition to lead the charge.